ARIES – Those who are married, are advised to take the advice and opinions of their loved ones on domestic matters. You have an intense desire to travel and visit famous places around the world. You will today be able to plan your work in such a way that it can even facilitate your travel. Businessmen will make major progress in their business plans. Taking careful steps would help deal with any further complications. Real estate agents planning to renovate their houses can start work today. Any loans, if applied for, towards this, would be sanctioned without much delay. Sportspersons may have an exhausting day today as they would lack the confidence to participate in their respective games. You may inherit money of property today. The initial process of transfer to your name will start today. TAURUS – Those who are single are advised to accompany their friends to parties or functions. This might be their chance to meet potential suitors. The elders of the family might be in a nostalgic mood today. They would be best left with their memories as they make them happy. Students might today fumble in doing their required projects. Those who are into technical studies may also be affected adversely. Politicians will today be recognised for their work and all the effort they put in. You might experience a healthy, comfortable and peaceful day ahead. GEMINI – For those who are in a romantic relationship and are ready to tie the knot, today might not be the best of the days to meet your would-be-in-laws. Those who are single might face a tense day today. A marriage proposal they might have liked may not find favor with their parents. Children will show affection and care for their younger siblings today. Advocates can expect new cases coming their way today. These cases would bring reputation and money for them. Students are advised to be alert today as logical abilities might be at it’s lowest. They would also need to be serious about their group studies. Teachers may expect developments in their career today and in the coming days. CANCER – You might be very busy at work today. This might not allow you to keep the promise of meeting that you have made with your lover. Those who have recently gotten engaged will spend the day shopping and preparing for their wedding. Children staying away from the family for studies, etc., may visit unexpectedly. Their visit will bring joy and celebration in the family. Some paperwork might delay the signing of new business contracts. It’s therefore advisable to take the required steps. Teachers who are coaching students for their examinations and other activities will be well appreciated for their efforts. Artists, especially painters will get admission to a study arts at a recognised school. LEO – Various jobs at home will keep you busy today. You might have to get ready for some manual labor around the house. Children planning for higher studies would come to you for advice and support. They will make you feel proud and happy. Businessmen would gain financially from new ventures. Advocates who win their cases today will be appreciated very much by their clients. They might offer gifts over and above the fee. Teachers may be assigned new duties along with their existing job. Artists are advised to take time off to rejuvenate and prepare for the busy schedule that would come their work. VIRGO – You might meet someone new today at work. And there would be sparks flying all across as romance blossoms. Medical professionals should wait today to see if they have any better career prospects or opportunities coming their way. They will soon get a good break. Sportsmen will feel very energetic today. They will also be able to meet up with any challenges that come up their way. 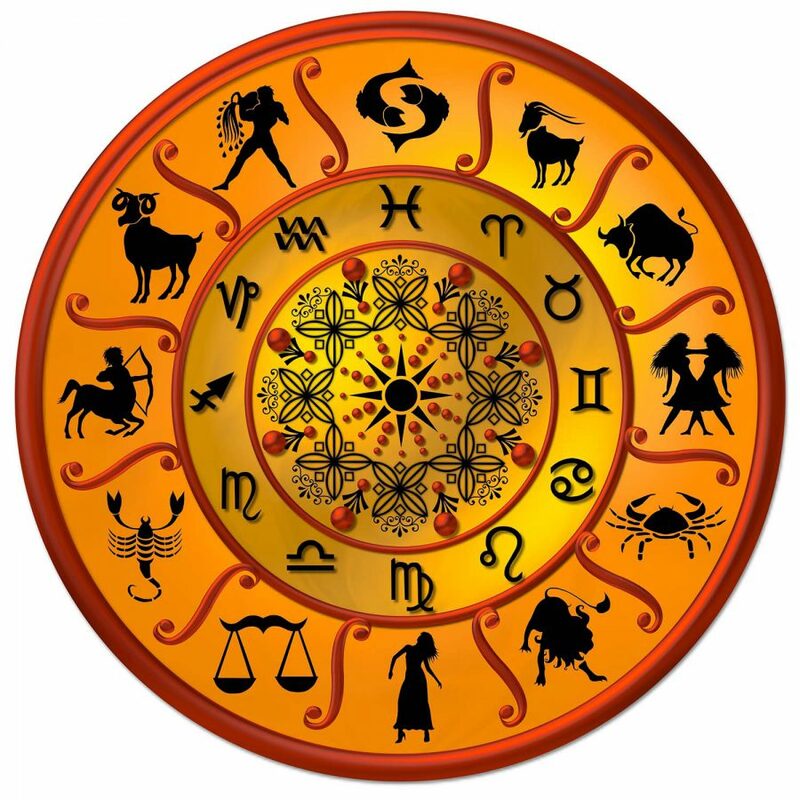 LIBRA – Today is a good day for those who are married to address long-pending domestic issues. Discuss and debate them openly and boldly. They shouldn’t be swayed by emotional considerations. Beware of any new people you might meet today if you are not a married person. All that glitters may not be gold. Doctors planning to pursue higher studies abroad will today complete the initial formalities required. People in the real estate business are advised not to make any promises to clients which they are not sure of fulfilling. It would harm their reputation greatly. An energetic day ahead for sportsmen as they will feel up to any challenge. You will be in the pink of health. So you needn’t worry about falling sick today. SCORPIO – Romance will make you happy today but it might also be heavy on your wallet as you might have to spend money in entertaining. Children who respect their elders and have a kind and generous heart towards the poor will gain the love and admiration of all at home and school. Those who are seeking a new job might get an offer for a new job. This will also bring them fame and recognition. Those who are in the legal field will be very enthusiastic and will be very successful today. Students might receive invitation to study abroad today. Artists may today look forward to some awards or rewards. SAGGITARIUS – As you are highly emotional, you will allow your sentiments to saturate your romantic experiences. A good and happy day for the elderly. They would get along well with people of all ages they meet. They would also set examples for the young with their experience and zest for life. Those who have attended a job interview might not fare well. The results might not be in their favor. Sportsmen will have a good day today. They will win all the games and matches they participate in. You need not worry about your health today. You will be perfectly fine. CAPRICON – An unexpected business trip might disturb your schedule. But eventually the trip and the consequences would work out in your favor. Keep an open mind towards unusual business proposals. They may come from the most unexpected quarters. Although you might feel apprehensive about them, they might eventually turn out to be very profitable. Students need to ensure that they concentrate on studies today. There are chances that they might lose focus today. An excellent day for teachers to devise new strategies and other academic activities. Financial problems that might crop up during the first half of the day would get sorted in the latter half today. AQUARIUS – Those who are single might meet someone interesting today. But they are advised to be sure of what their heart needs before making any commitments. Medical professionals will enjoy a relaxing day in spite of what happens around them. A lucky day for accountants as they may become very famous today. Share market investors and brokers are advised to avoid gambling or speculating. Especially if they are dealing with other people’s capital. You will enjoy a healthy constitution today. PISCES – Your generous and warm qualities would bring you some joyful and loving moments. An excellent day today for elders who have not been keeping too well to undergo holistic healing practices. A good day to seek out help from influential people in securing employment. Those in the legal profession will work towards establishing their business and career. They would take the steps towards this goal today. Students will be able to return to academics and broaden their horizons. Great opportunities will come by their way. Sportspersons may expect a call letter or an invitation for an interview for a new job. They would get this because of their talent in sports.